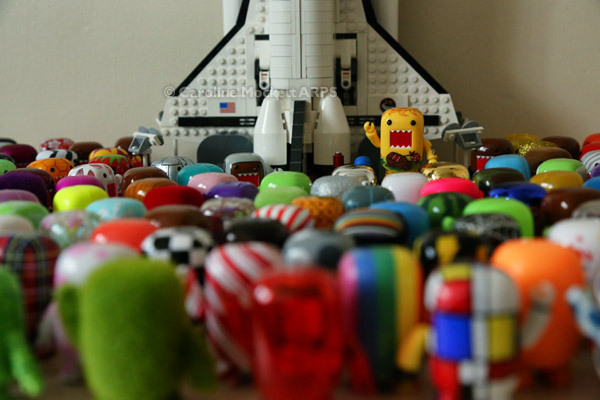 My Domos were a bit sad today as they had to say farewell to Sunny The Travelling Domo who has to move on his next host now. 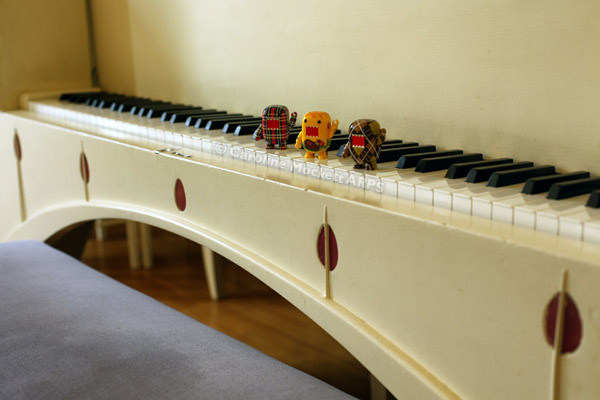 We have had a lot of fun with him during the last few weeks. Sunny gave a lovely speech as he prepared to board his shuttle which will drop him off in Scotland! 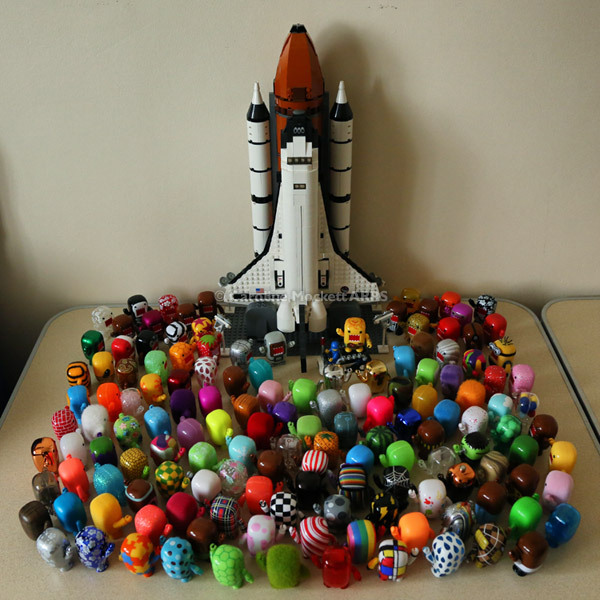 All the Domos gathered at the launch pad to bid farewell to their travelling friend. Safe travels, Sunny! After absorbing so much culture, we decided to visit another famous Mackintosh location – the Willow Tea Rooms in Sauchiehall Street for some sustenance. 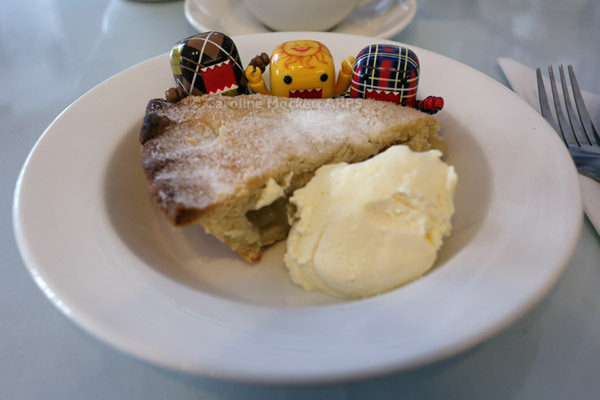 As usual, Scotty, Sunny and Tarty were more interested in the delicious apple pie and cream than their surroundings! 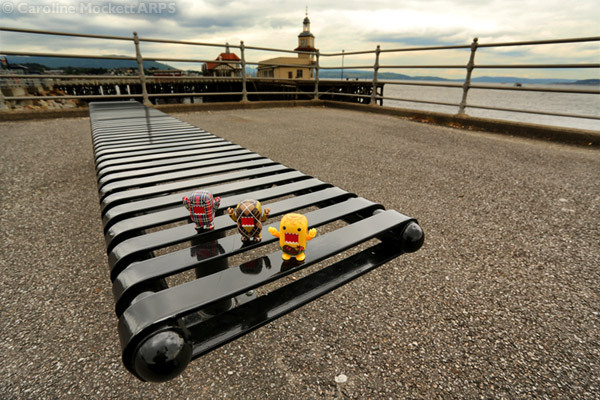 Tarty, Scotty and Sunny found this cool bench in Dunnon which appeared to be floating. They were happy to pose for my weekly picture for the current 52 Weeks theme, Repetition. 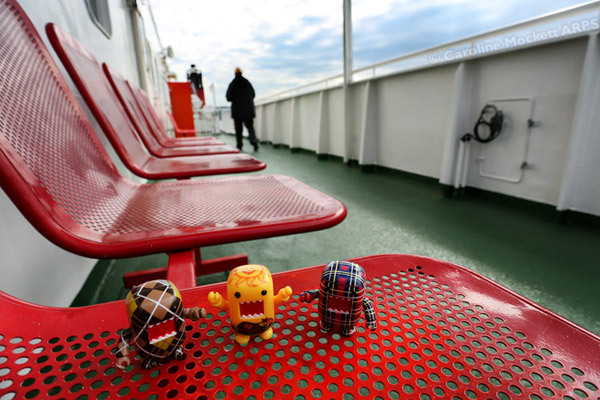 And then they sat on the top deck of the ferry, taking in the fresh air. It was a bigger boat than Sunny and Rummy sailed on at the start of Sunny’s visit! 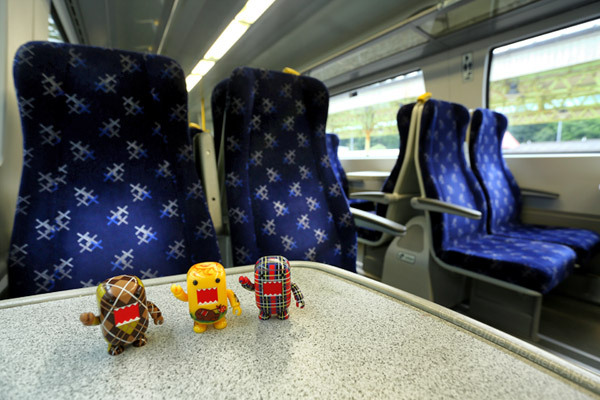 Sunny, Tarty and Scotty were excited to accompany me on a business trip to Glasgow today. 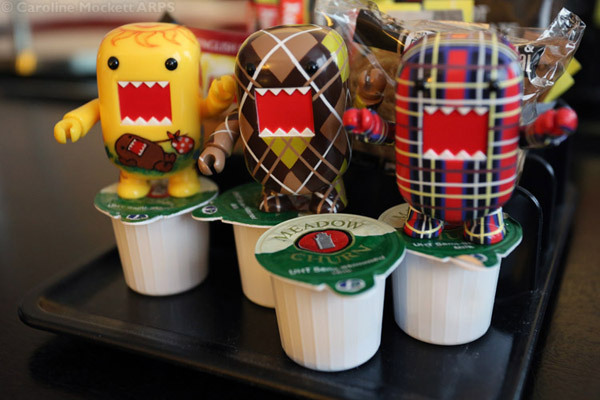 We stayed overnight in a posh hotel with the option of lots of freebies – you can see they enjoyed choosing some milk and cookies in the hotel.